Netflix has now been streaming in India for 3 weeks. 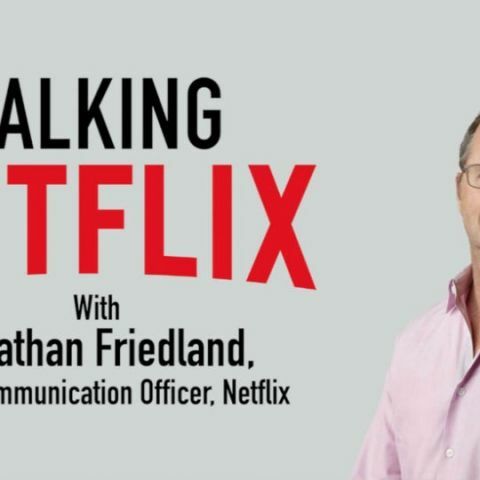 We caught up with Jonathan Friedland, Chief Communications Officer, Netflix and asked him some burning questions about the company's India plans. Here's what he had to say. Netflix really wants Indians to like them. This was reiterated by Jonathan Friedland, Netflix’s Chief Communications Officer at a recent interview with Digit. Netflix launched in India just three weeks back and we caught up with the management to take stock of how the streaming service plans to evolve in a country like India, where piracy is second to religion and audiences are hungry for quality content. Here are 5 things we found out about Netflix’s future plans for India. Content or the lack of it? Naturally, the first question we asked Netflix was about the content on the platform or more appropriately put, the lack of it. From its inception in India, Netflix has had a gun to its head because of less content on its streaming platform in India. Just to give you an idea, if you haven’t already seen this splashed across the web, Netflix in India houses only 7% of what’s available in the US. So, what’s the reason for this exclusion, we asked. Friedland makes a valid point here as later on in the interview he would compare Netflix to television channels, and point out that since the licensing regime has not evolved over the years, certain content cannot be provided in India at this moment because of pre-existent licenses owned by other television channels such as Zee Cafe, Star World etc. Although, in a ray of hope for HoC fans, Friedland told us that the stirring political drama will “soon” find its way on Netflix in India. What’s the deal with India specific content? Things your mommy never told you about Gmail! “We are trying to build out the service in a way that it’s right for India. The fact of the matter is we Indian consumers are going to like yet,” said Friedland. What users need to understand here is that Netflix does NOT specialise in Indian content. Expecting Netflix to be the next Hotstar or Hungama or Eros Now is not only unfair but it’s actually stupid! It’s like expecting Facebook to be like Linkedin. That will never happen because each has it’s own niche. Netflix shopping for Native Indian content? Yes, seems like Netflix is shopping for content from India. The company has just acquired indie filmmaker Q’s film - Brahman Naman at the Sundance film festival. “We have a content licensing team that is constantly looking at different things. Brahman Naman is interesting. A bunch of us saw the movie and we made an offer for it and luckily they accepted. So, it will be available not only in India on Netflix, but everywhere in the world,” said Friedland. A recent blog post by Netflix talked about the company’s efforts towards blocking VPNs used for accessing all Netflix content available in the US. This of course is something the company continues to struggle with as more and more people want access to Netflix’s full library of content. Friedland pointed out, “Anybody who is using a VPN to access Netflix has been against our terms of usage and what we’ve done is we’ve upgraded the technology alongside Hulu, BBCi and all the other streaming services.” So yes, using a VPN to access Netflix is going to become tougher, if it already hasn’t. We have also witnessed bugs in services such as SmartFlix, which essentially act like VPNs and make all of Netflix’s content accessible. Does Netflix implement local caching servers at the ISP level in India? Yes, they are already doing so. Although Friedland refrained from naming ISPs, he confirmed that Netflix has open connect servers in India and that they have been working on them for quite some time. So that was Netflix’s take on its streaming service and its future in India. Catch the whole interview on the Digit YouTube channel below.